Not only was he a great actor, but he was an amazing philanthropist and will be greatly missed. I feel for his wife of 40 years and wish his family the best through this terrible time. 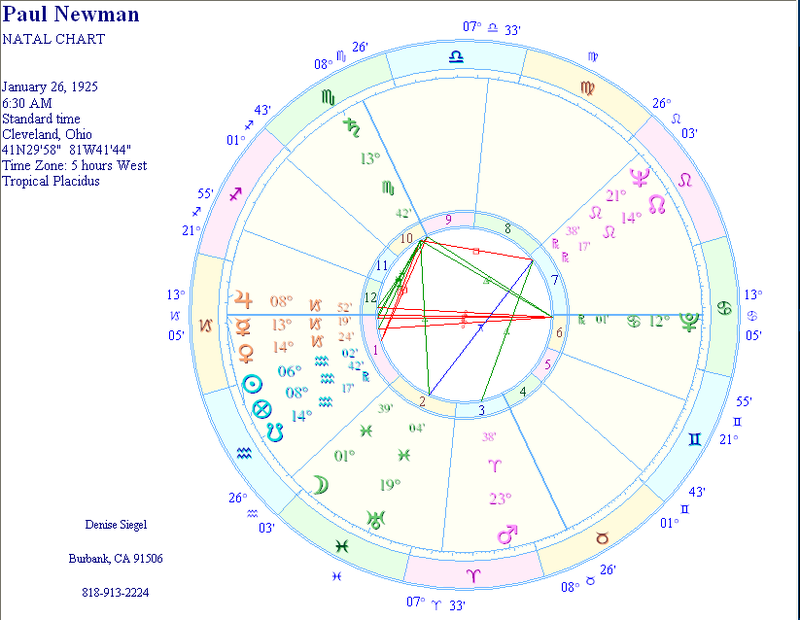 I’m posting his chart with the aspects that occurred today — the day he passed over. If it’s any consulation to his family I don’t just believe people move on to another plane, I know it. Over the past few years (this was never my specialty, I was mostly a clairvoyant/precognitive type) I’ve made contact with my father and many other relatives just before the conception of my daughter. This is when they started showing up. The bothersome part is all the bizarre activity in our home as a result, which we’ve never had before. We’ve lived in the same house for 12 years and nothing odd ever happened (except for the usual stuff that happens to people like me) but since then the faucet in our bathroom has gone on (with many witnesses) multiple times, and the other day in our kitchen faucet did the same. We’ve heard footsteps in the hallway, once when a friend was staying here, who also heard it. And all kinds of things jumping out of places they never did before, defying the rules of gravity. But, anyway, the other side is not what most religions teach, it’s more like an extension of earth, a weigh station where our loved ones wait until we come together and figure out what’s next. That’s what I’ve been told by numerous people over there. You may think I’m crazy, but what can I say. I’ve been seeing dead people now for a few years. Before that it was very rare, now it’s a daily event. 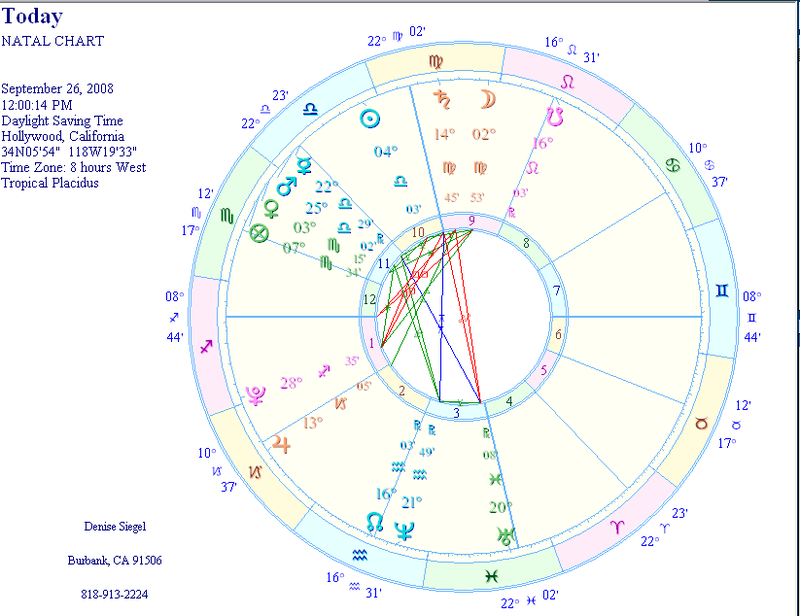 The outer rings are where the planets were today, the inner ring his natal chart. As we can see there was a lot of activity. 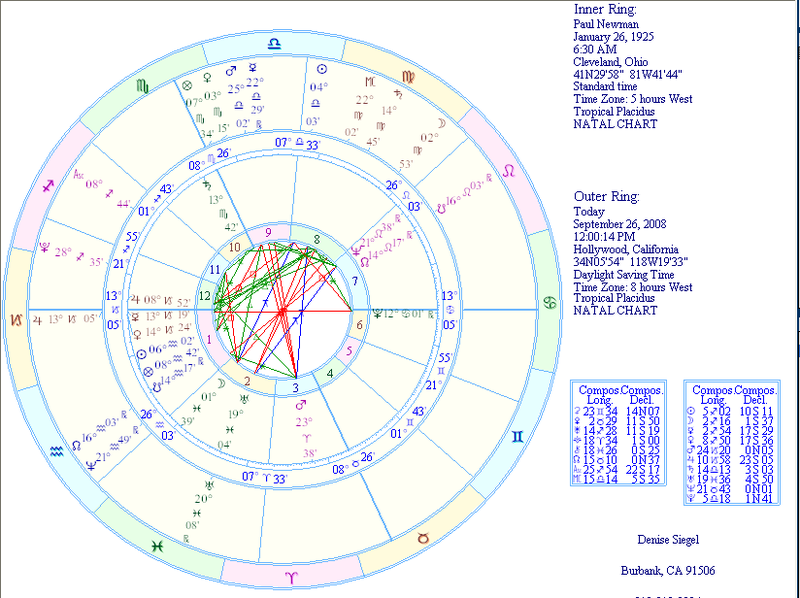 Pluto has been going through his 12th house for a little while. Today it trined his eight house and Mars in the 3rd. He would experience his crossing as positive. It was his time to go and this was a good opportunity for his soul to transition to the other side. Jupiter also on his Mercury contributed to the expansion of his mind and he more than likely got to say good-bye to those he loved and had a gentle crossing with plenty of love and good feeling to stave off any fear. Jupiter was also opposing his natal Pluto in the sixth, his house of health almost exactly, triggered by the exact conjunction with Jupiter to natal Mercury and activating this opposition. Saturn going through his 8th another indicator of physical death was also trining his rising, Mercury, Venus, Jupiter and transiting Jupiter, enabling him to let go of fear with the help of his loved ones — he was also able to resolve any unsaid things that he wanted to tell people. It is a very sad thing and he will be missed in our world. Hopefully his friends and loved ones will be comforted to know his transition was positive and he was protected through his crossing. He’s in a good place now. He was a great man who gave so much and all his goodness will be rewarded. My condolences to all who loved him, which is all of us.